Hard working women make the world go ’round. And they all deserve a break. Here are six women (in no particular order) that know the value of R & R amidst manning their empires. 1.Serena Williams earlier this year in Miami, celebrating her victory at the French Open. 2. Beyoncé breaking from her Mrs. Carter World Tour and celebrating her 32nd birthday in Italy. 3. Lady Gaga in Mexico, post her hip surgery recovery. 4. Ellen DeGeneres spread her comedic cheer this past Christmas in St. Bart’s. 5. Sofia Vergara spending time during her “Modern Family” off-season in Mykonos, Greece. 6. 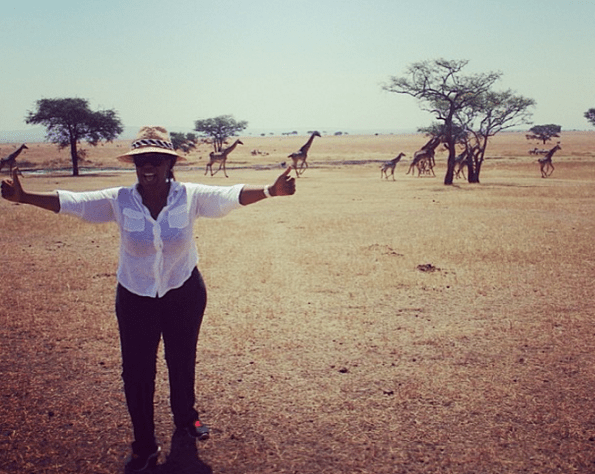 Oprah Winfrey gives the Serengeti Safari (Tanzania, Africa) two thumbs up! Cheers to a well-balanced life!